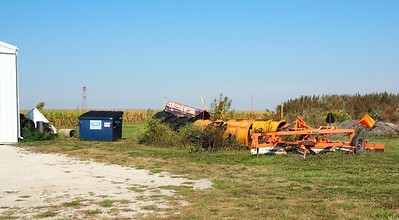 Township garages in this part of the world usually have some old plows and other such equipment outside the building. 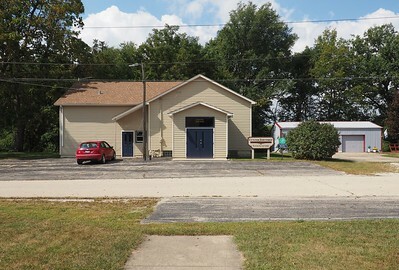 It can be an identifying characteristic telling you that, "Yes, this nondescript building with no sign to identify it is a township garage/hall." In this case there was a sign, though. Very tiny crushed rocks, it looks like. 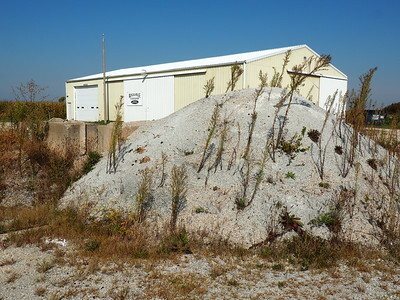 More of the assortment of gravel piles. 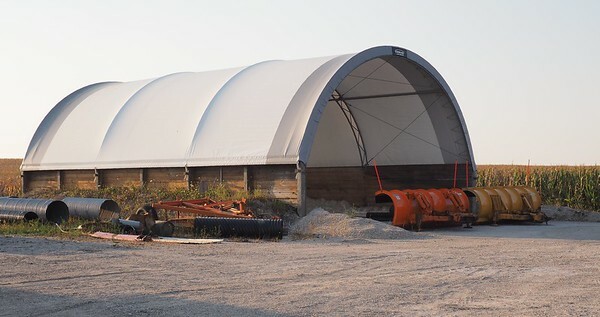 It seemed that the pole barn shown here might have been part of a neighbor's property. 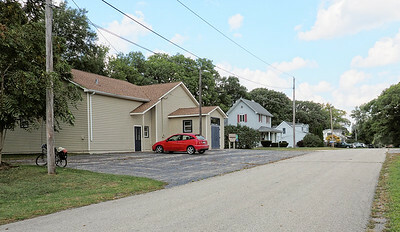 Looking west from the Rockville Township Highway Department. 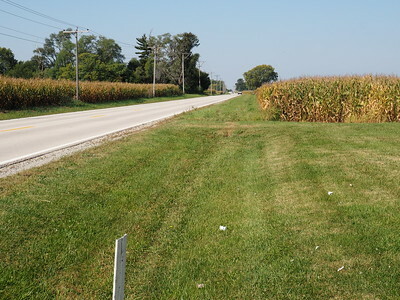 The view west from the Rockville Township Highway Department. This is the direction I was headed. 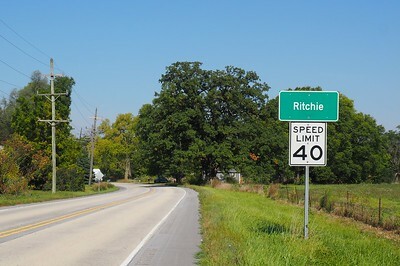 There aren't a lot of places to cross the Kankakee River, but just west of Ritchie is a multi-use trail that has its own bridge across. Here it is. 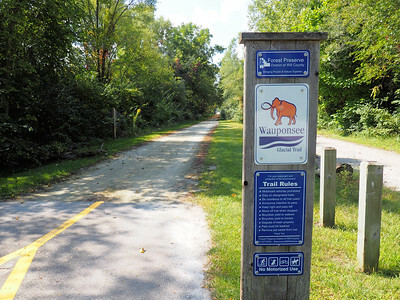 The Wauponsee Glacial Trail, just ahead. 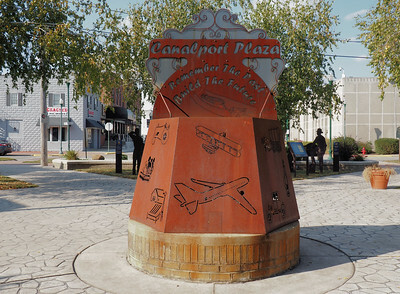 It starts in Joliet, over 20 miles to the north, and ends just across the Kankakee River. I will be using only the last mile of it. The trail itself. Only the crossing was paved, but it was in good shape. 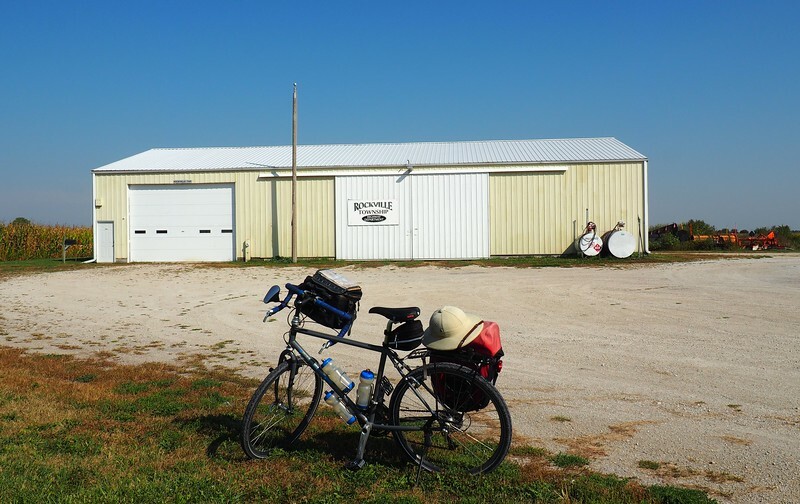 I didn't take time to visit the Wesley Township hall. It's close to the Waponsee Trail, but to the north. 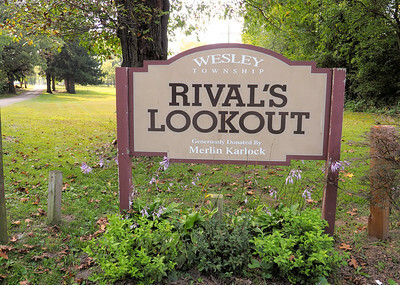 However, at least I got a photo of a Wesley Township Park, right next to the bridge over the Kankakee River. 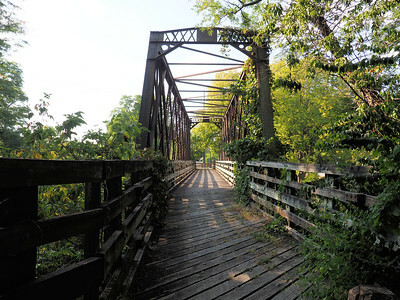 Bicycle bridge (and horse bridge) over the Kankakee River. 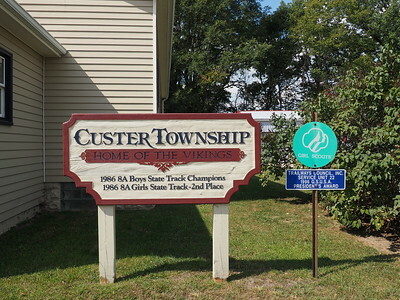 Usually I try to find out ahead of time where the township halls are located. 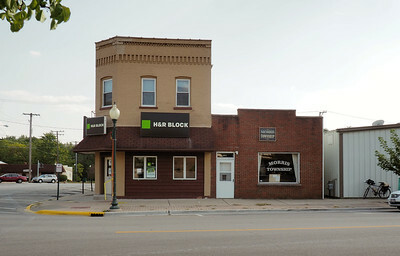 But some counties and townships don't put that information on the web. 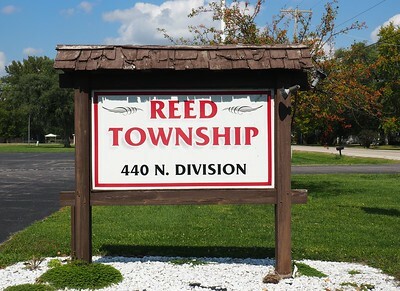 In this case, I stumbled on the Reed Township Hall. 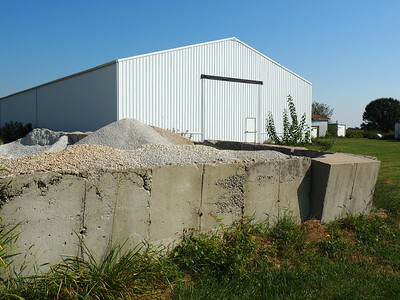 No gravel piles or equipment are lying outside, but perhaps that kind of neatness is important when the township buildings are located inside a city such as Braidwood. 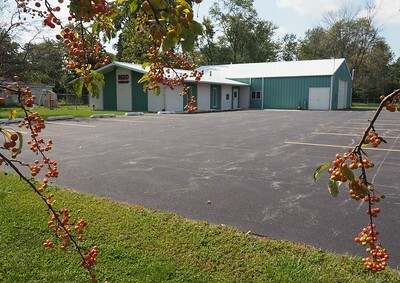 Reed Township has a good-sized parking lot, which I take to be a sign of well-attended meetings. 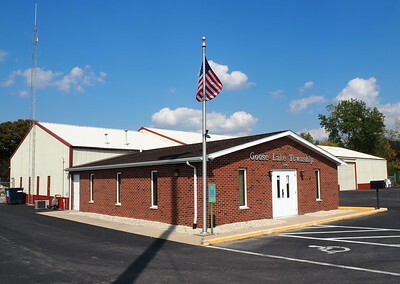 Looking west-northwest at Goose Lake Township Hall. Looking back east in the direction I had come from. 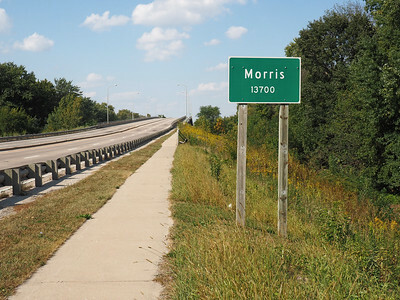 This was taken on the south side of the Kankakee River, but getting close to the bridge at Morris. 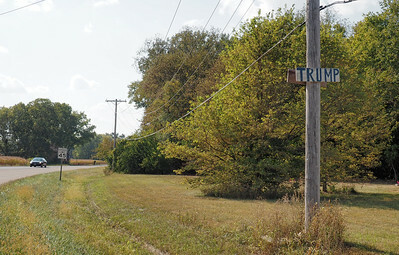 I presume the sign is pro-Trump rather than anti. 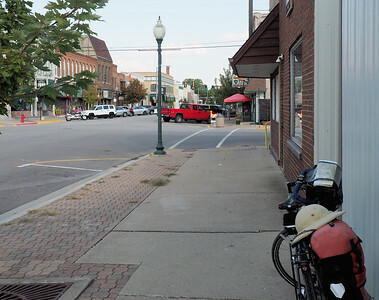 The last time I rode across the Kankakee River here (1996) there was an old, narrow truss bridge, and a sign that said no bicycles were allowed. I didn't quite get all the way to the peak before traffic started to accumulate behind me. This time there was no problem. 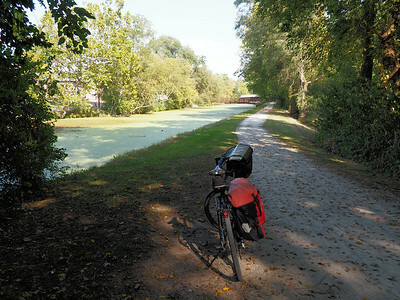 It would be nice to come here again and learn more of the history of the canal days. A note on a sign said that in the days when were still competing with railroads, canals were considered more democratic than railroads. 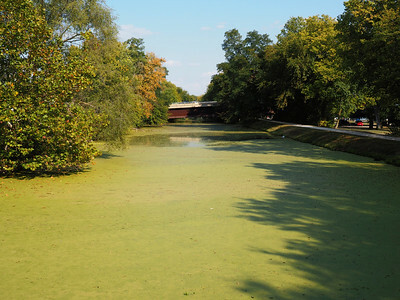 It looks like no canal boats have been plying the Illinois & Michigan Canal recently. 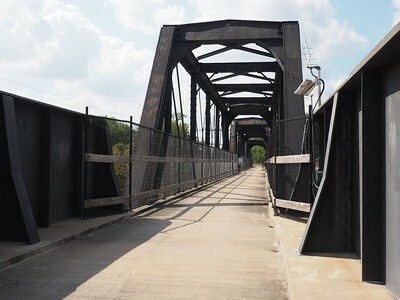 There didn't seem to be a way to ride around the bad section of the I&M canal trail, but at least there was a bridge to cross over and then continue my ride on the public roads on the north side. 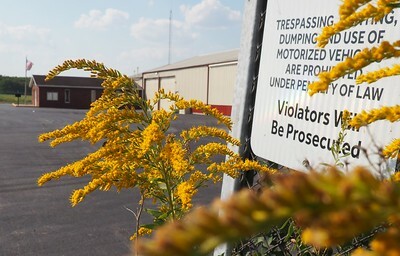 A few of these old road graders have been preserved in township hall yards. 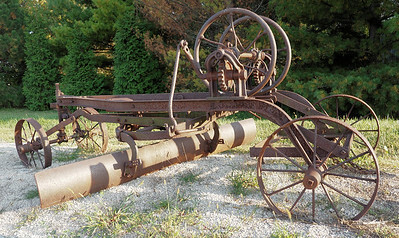 Back in the day they were an improvement over having farmers bring their own tools to work on the roads; but they also marked a change in the relationship of citizens to township government. Now they paid taxes for road work insted of getting together on work days. 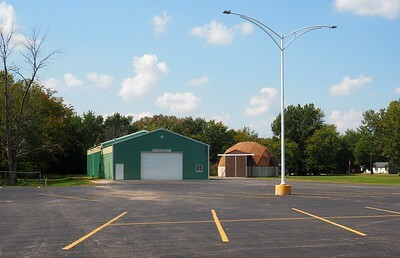 In this case the township hall is the township highway garage. The first part of the ride west of Manteno was on a busy road, even on a Saturday. 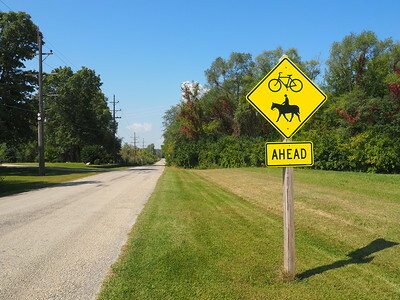 It's not as though the Illinois bicycle map hadn't warned me. 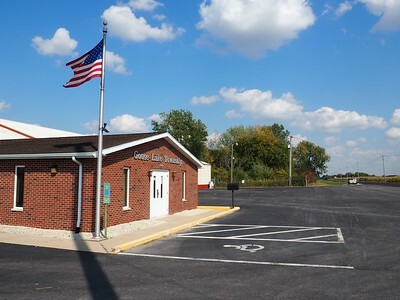 But by the time I got as far as Rockville Township Hall, the road was quiet.